Dr. Laurence Peter outlined the premise of The Peter Principle in 1969 but it wasn’t until recently that Kelly Shue, Professor of Finance at Yale School of Management, saw an opportunity to unpack this principle and the specific impact it was having within sales organizations. 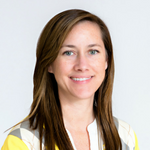 Kelly, along with her colleagues Alan Benson and Daniel Li, obtained data on 214 sales organizations and analyzed 1500 sellers who were promoted to management positions between 2005-2011. 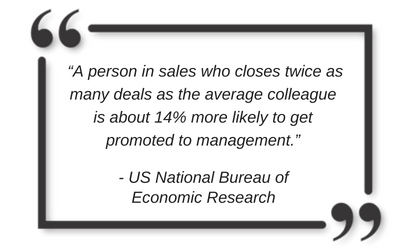 What was most surprising about the research wasn’t that it stated the obvious fact that great sellers don’t make great sales leaders but that it statistically proved they make WORSE leaders. Kelly, and her colleagues, identified that sales declined an average of 7.5% when led by managers who had high sales volumes when they were employees. Meanwhile, sales thrived under managers who may not have been high performers1. You have either experienced it firsthand or witnessed it from afar – that superstar seller who gets promoted and for 12 months remains focused on what they know, desperately trying to figure out how to duplicate their own efforts and losing site of other important aspects of the job. They are frustrated that they can’t control the outcome of each opportunity and for the first time they are required to dance the political polka with other leaders across the organization. Coaching is an aspect most can appreciate and is a very a big part of the job, but it isn’t about forcing your team to do exactly what worked for you. It’s about understanding the unique needs, preferences, and motivating factors that drive each individual. This isn’t a one-size-fits-all job and it requires leaders to remain relatable, real, and reliable in order to build trust and elevate performance. This is less about playing a heightened strategic role in the sale and more about taking a giant step back and learning how to sell a concept internally in order to create momentum and motivate action. It’s about navigating the organization, identifying strategic vs. low value activities, and resolving conflicts on behalf of your team (vs. your client). Supporting Resource: The 4 Most Effective Ways Leaders Solve Problems. One of the greatest gifts a leader can give their team is consistency. Consistency creates an awareness of expectations from which a team’s cadence can be built. From business planning to opportunity management, a good operator sets expectations around when certain business activities are to take place and how best to prepare for each engagement in order to create positive momentum. Supporting Resource: Interested to see how you stack up? Give yourself an honest grade on how you operate your sales team with this 7-point checklist. Apart from contemplating the list above, and determining where your strengths and weaknesses may lie, here’s an eBook we created for those new to sales leadership. The First 90 Days has proven highly effective, catapulting many a newbie sales manager on a successful track. As you contemplate whether you’ve got the chops to become a Peter Principle outlier, remember that we are talking about will versus skill. You may not have all the skill(s) you need to be successful right out of the gate, but if you have a desire to think more broadly then you have the capacity to make it in sales management. Use what we’ve outlined here as a springboard for success – your own success and the success of your team.